It helped that it rained all day. That’s the thing with Southern CA. One day it’s cold, the next it’s in the 80’s. Well today it was raining off and on all day. And I hate to drive or do anything in the rain. There are too many crazy drivers who do not know how to drive in the rain. 😦 So I didn’t run any of the errands that was on my to do list – they will just have to wait another day. 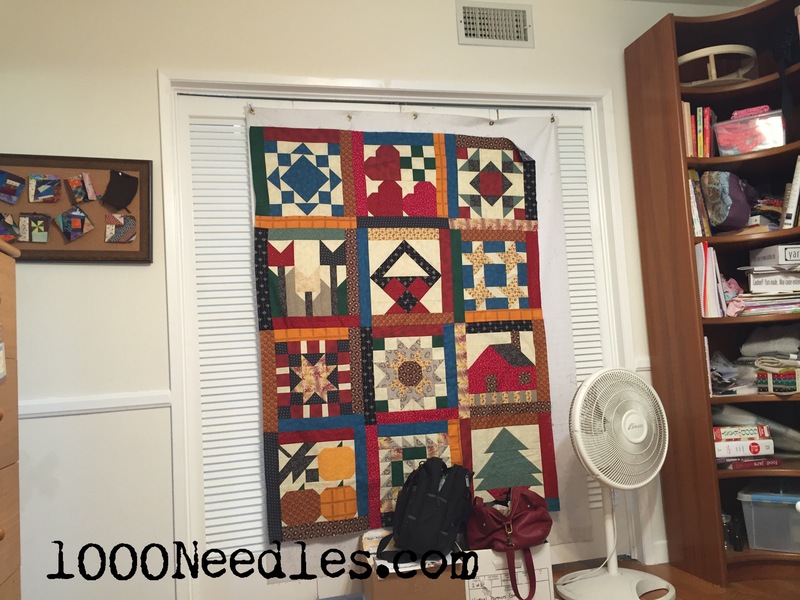 Instead I stayed home, quilted the secret project and pieced the final border. It was a nice day today. Next up – put together borders on Month by Month, currently on the design wall. I’ll be going through stash for those and hopefully I find something that works. 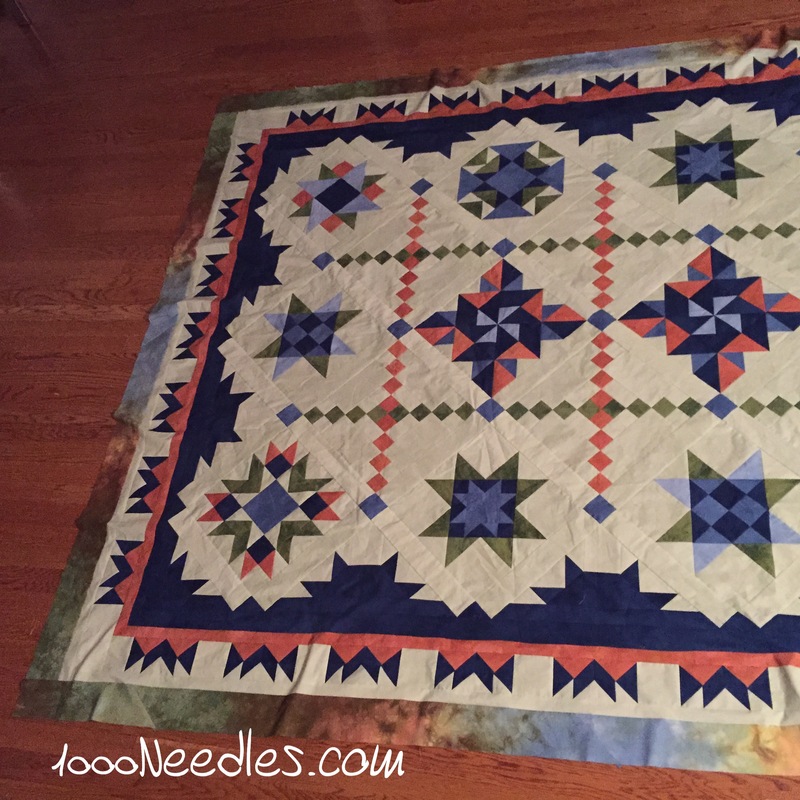 This is primarily a practice quilt so I do not want to spend money on fabric when I just want to add a border. I may need to buy backing fabric though as I do not want to go through the hassle of piecing together a back. 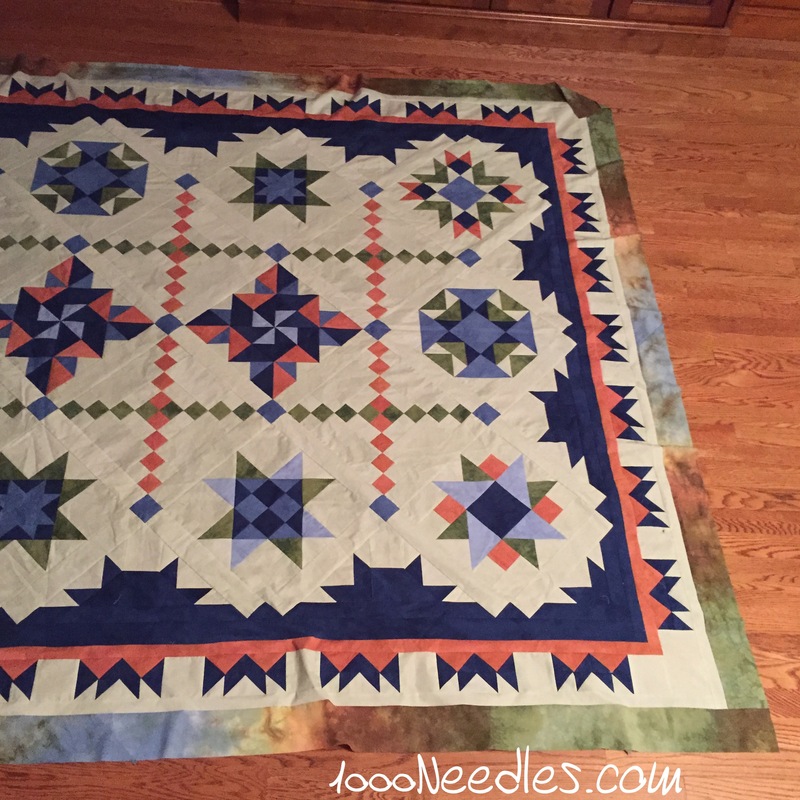 Once that is done, I’m going to put together the mid-arm and start learning how to use it with this quilt. Hey, that fabric is perfect for that border. You did such a nice job aligning the colors at the corners, too. 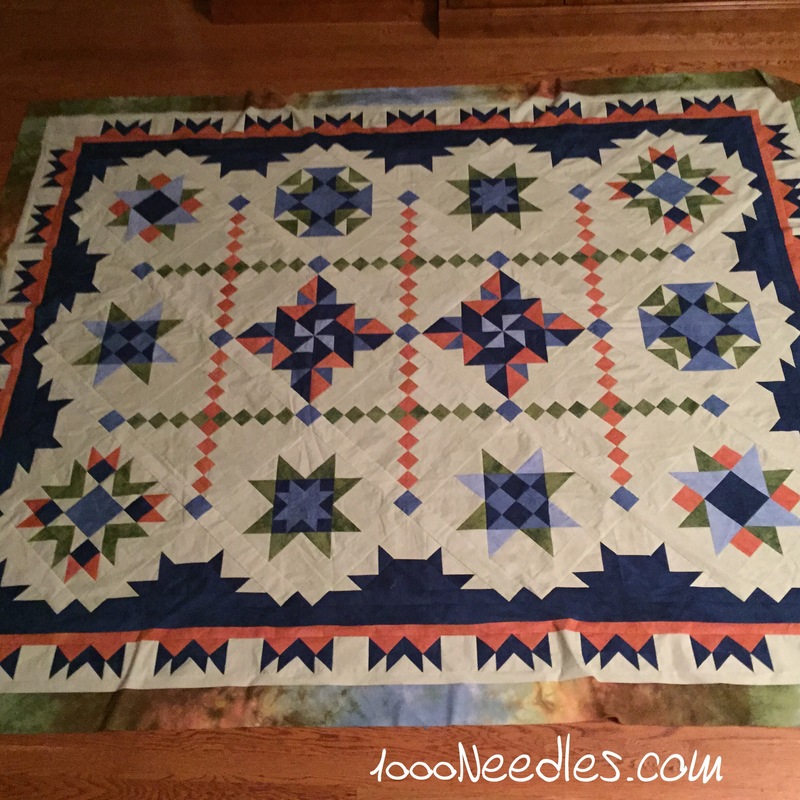 I really like the orange and blue quilt–especially the edge created by the cream against the dark blue, almost doily like.